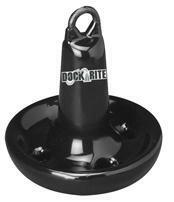 Dock-Rite Mushroom Anchor Coated #10. Ideal for anchoring in low wind and current conditions. Heavy no-mar resistant plastisol coating (protects boat finishes). Looking for something else? Stop by our ebay store where you can find a wide selection of life vests, propellers, steering systems, and other miscellaneous marine accessories! You will receive a winning bidder notification to the e-mail address associated with your eBay account. WINNING BIDDER MUST MAKE PAYMENT WITHIN 4 DAYS. 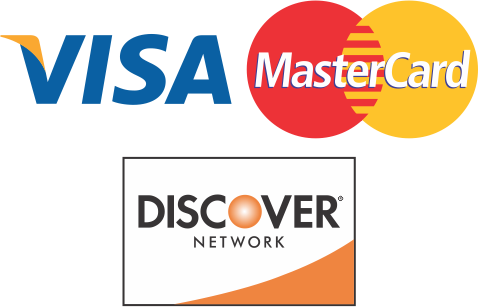 We accept Paypal and will also take Visa, Mastercard, and Discover over the phone. If payment has not been received within four(4) days after the auction has ended, then an Unpaid Item Dispute will be issued and item will no longer be available. We strive to provide the quickest shipping times possible. We ship Monday through Friday until 4pm. Most orders ship within three business days after payment received. All items are shipped via Fedex or USPS in order to provide the most accurate tracking and most comprehensive insurance for the protection of your purchase. Please refer to the shipping tab and use the shipping rate calculator to provide the actual shipping cost of the item. We do offer combined shipping on multiple purchases. Please request a combined invoice once you commit to purchase the items wanted. Tracking numbers are emailed automatically upon shipment. If for some reason you have not received your tracking number you can log in to your eBay page as tracking numbers are inserted there as well. We also offer Free local pickup on every item we sell. Please call 302-945-1600 to schedule a time to pick up your purchases. International Bidders - We ship USPS Priority and First Class or Fedex International for all international packages. Some of our products cannot be shipped internationally. It will not allow you to calculate international shipping if the item cannot be shipped internationally. International bidders are responsible for all taxes and or customs duties that may apply in your country. We will NOT mark the customs declaration form GIFT. ANY REQUESTS TO DO SO WILL RESULT IN A CANCELLATION OF THE TRANSACTION AND WILL BE REPORTED TO EBAY. Shipping Claims - Should a claim arise, you will need to retain all packaging materials and email pictures of damage to us. We will do our best to expedite all claims and issue a refund as soon as the claim has been processed by the appropriate shipping company. Mistakes happen. Please give us an opportunity to correct any error before you leave a negative feedback. All items are fully inspected prior to shipping in order to ensure the contents of the packages remain intact. In the event that an item arrives defective, you must contact us within 7 days upon receipt for a Return authorization. Defective items must be returned within 14 days for exchange. 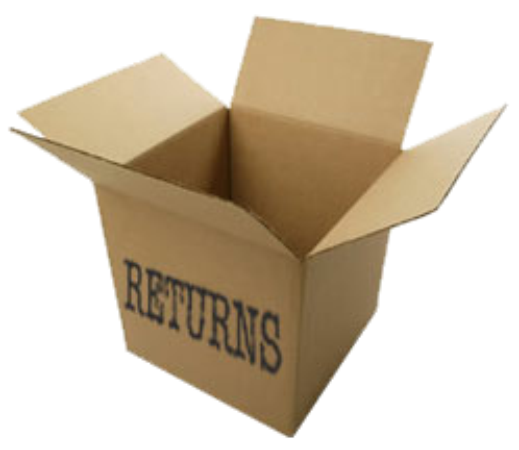 Items will only be accepted for return in their original condition, with absolutely no accessories missing. We Guarantee 100% customer satisfaction. In the rare event that an item is not as described, we will gladly replace the item or issue a refund. However, you must contact us within 7 days of receiving the item. If for some reason, within 14 days of purchase, you are not satisfied with your item and want to return it, the item must be in the condition that you received it with all tags and original packaging. We will charge a 20% restocking fee on any returned item that is not due to a defect in the order. We will issue a credit for authorized returns upon receiving and inspecting the returned product. We do not credit the original shipping cost, nor the return shipping cost (unless the merchandise is damaged or defective). Warranty Returns - Warranty items will follow the manufacturers warranty policies. Not all warranty items can be returned to us, some manufacturers require you to send warranty items back to them direct and prior authorization is required. We will assist you with the information needed to obtain return authorization. At Short's Marine, we strive to provide great service to our customers. Email correspondence is preferred, however, if you have a pressing issue with your order that you need immediate assistance please call our support at 302-945-1600 during business hours 9:00AM-4:00PM, Monday through Friday (if you have asked a question over the weekend please be assured on Monday morning we will be starting to read all emails). 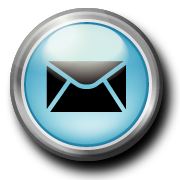 We do our best to provide quick answers to emails and all questions will be answered directly. Please allow extra time for for us to respond to technical questions as we may have to do some research. If you do not receive a response within two business days, please check your junk-mail filter as responses may be unintentionally removed. Please use the Contact Seller Link to contact us. Is this the BMW 0 Series? If BMW are going to go further downmarket in their quest for more sales – which we know they are with their plans for front wheel drive BMWs – then short of a sub-brand marque (entirely possible some will wear the Isetta or i-setta badge) then the only number we have to play with is a big, fat 0. It seems daft to give a BMW a leading 0 and its own series, but it certainly looks to be under consideration. By Ben Pulman First Official Pictures 21 April 2009 14:22 CAR’s editor Phil McNamara is in China this week, reporting on everything weird and wonderful at the Shanghai motor show. But when he called to say he was pouring over Porsche’s Panamera 425 metres up in the air, we started to think that maybe the jetlag was getting to him. Apparently not – on the evening before the opening of the Shanghai show, a select group of the world’s automotive media was invited to a preview of the Panamera on the 94th floor of the Shanghai World Financial Centre. By Ben Pulman Motor Shows 04 July 2008 12:44 The FIA has announced that from 2010 the British GP will move to Donington Park. It’s a return to the East Midlands circuit after 17 years, which last hosted the Grand Prix of Europe in 1993. To bring the circuit up to scratch for the Formula One crowd Donington Park has announced it will commence a 5-year, £100m investment programme.